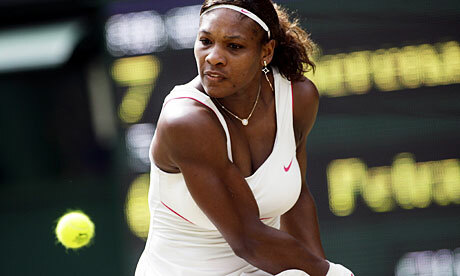 Serena Williams is widely regarded as one of the best tennis players of all time. She is the younger sister of Venus Williams, who is also a tennis player. Her parents instilled the love for the game at an early age, and her father continues to be her mentor and couch. Serena became a professional tennis player during her early teens. Throughout her childhood, she and her sister were home-schooled so they wouldn’t endure distractions from the game. After turning pro, Serena quickly took the tennis world by storm. After winning the U.S. Open, French Open and Wimbledon games in 2002, the star was understandably burned out. She wasn’t in the sports headlines as much for a couple of years after, but quickly made a comeback afterwards. This tennis player is now in her 30s, an age in which many people retire from the game. However, Serena is still going strong and continues to claim titles. In fact, in 2013, she became the oldest tennis player to rank number one within the Women’s Tennis Association. This goes to show that being a teenager doesn’t necessarily equate to better athleticism – Serena still has both the skills and the drive to be a winner. She also won two gold medals at the 2012 Summer Olympics.